"Romance the Whiteshell" year-round. 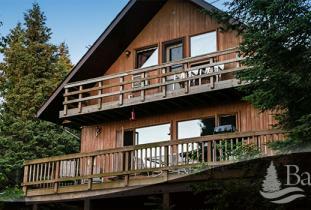 "Couples only" deluxe lakefront cabins. Fireplace, whirlpool tub, screened porch, air conditioning, satellite TV, DVD, full kitchen, gas barbecue. Boats, motors, complimentary equipment. Pet/smoke-free. Honeymoon packages.